I originally wrote this several years ago as a monologue that I performed as Barabbas. I have edited it slightly for print so I could share it here. I was supposed to have died on this cross. I’d stolen, killed, and led a rebellion… and now my time had come, or at least I thought. Today I stood before the angry crowd and they mocked me. And I mocked them back and cursed them. They screamed, “Barabbas! Murderer! Give him what he deserves!” I screamed back at them! “Fools! You don’t know what you’re talking about! I killed those Romans for people like YOU!” I knew I was guilty. I wasn’t just leading a rebellion for my people. I was in it for myself. A power hungry rebel. A freedom fighter. A bandit who would stop at nothing to get what I wanted.” Today I would get what I deserved. “How did my life come to this?” I waited to hear my death sentence. These despicable Romans will have the last word after all. To die at the hands of these mongrels. Now that is the real mockery. Beside me was another man. He didn’t look much like a criminal. How did a rabbi get arrested anyway? What kind of a true man would just stand there and not even try to defend himself? Didn’t he care what they were saying about him? The crowd mocked him the same way they did me. But he said nothing. “Some rebel,” I thought. What did he get arrested for, trying to convert a Roman? Ha! Coward! I’ll show him a true insurrectionist. Then I heard Pilate say something to the crowd. Go ahead. Get it over with you corrupt fool! You’re nothing but a pawn for Caesar. What a mockery! 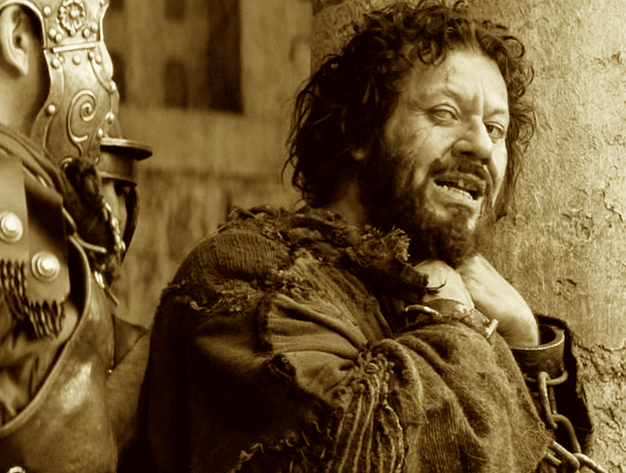 As if they would ever really let me go…over this deranged, harmless lunatic who thinks he’s a king. A few people started to cry out my name. “I hate you too!” I screamed back at them. I knew they must have been mocking me. Everyone hated me. They were afraid of me, as they should have been. I was the worst of criminals. As if anyone anyone would call for my release. I now stared death in the face. I would get what I deserve. The chant grew louder and louder, “Give us Barabbas. Give us Barabbas! Release to us Barabbas!” These people are relentless! But slowly, I began to realize that they weren’t taunting me. They were serious. I looked at them in disbelief and then locked eyes with the criminal who stood beside me. Who was this man? What could he have done that would have possibly been worse than my crimes? Suddenly, although I didn’t understand why, the guards released my hands and feet from the shackles that had bound me for weeks. I was free. I walked away from the chains… away from the punishment that I deserved…away from a hill that I was supposed to have climbed…and away from a cross that belonged to me. Now I stand here at this hilltop. They call this hill Golgotha – the place of the skull. There is no worldly beauty. Only blood remains. There are no beautiful trees; no flowers, no beautiful scenery. But atop this hill there is a view like no other. I stand here in the shadow of the cross that belonged to me. But someone took my place. They said his name was Jesus. Some say he came to die so that people like me could live. 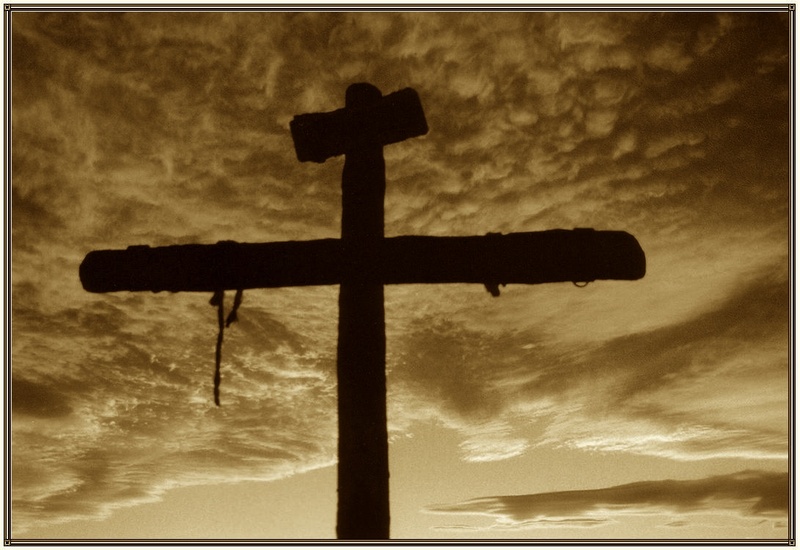 I don’t know exactly who he was but I do know this…THIS was MY cross and he took my place. All I know to do is climb this hill every day to say thank you. I was supposed to have died on this cross. Instead I have found new life. Where do I go from here? I don’t know. I am no longer a prisoner. But I can never escape this kind of love. All I know to do is embrace it, to live in it, and to follow the one who set me free and then captured me. Maybe this is still my cross. Maybe I will die on it but not the way I once thought. I will indeed die here, because here, in this death, I have found life. Next Article Next Article: Escape Artist Christianity? Sometimes I could just kick myself for not seeing the obvious. WE…are…Barabbas. Thanks for the insight, Rob. If you want to speculate a bit, imagine a conversation between Barabbas and Simon of Cyrene about their respective views of The Day.